Jade rollers are roughly the length of your hand and fit comfortable when gripped. They are typically double-ended with a large and small piece of jade on either end of a handle. The large end is used all over the face while the smaller end is used around the eyes. 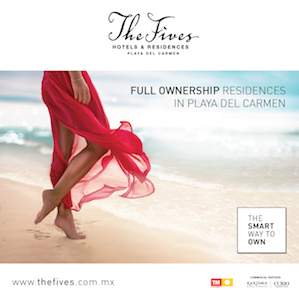 They’re small enough to bring traveling and chic enough to be a decorative piece on your nightstand. The great thing about this old school piece of technology is they’re easy enough to use with or without a mirror once your get the hang of it. The key method to jade rolling is working the roller from the inside of your face out. Start from the corners of your nose, rolling out towards your eyes on either side of your face. In researching jade rolling, you’ll read a lot about lymphatic drainage. I’m not a scientist. However, it sounds like a great beauty benefit and everyone agrees jade rolling does the trick! The other benefits of jade rolling are de-puffing, reducing redness, wrinkles, fine lines, and increasing circulation. It seems intuitive to me that jade rolling should only be done working from the inside of the face out, and not in a back-and-forth motion, or from the outside in. So trust me, inside out motions only for my beauty babies! 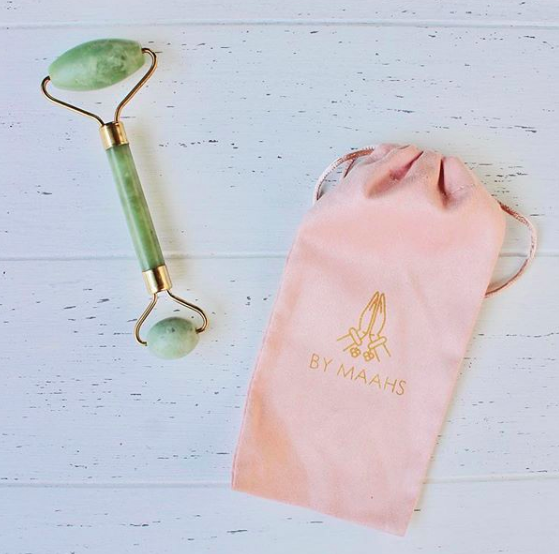 You can use your jade roller directly on your skin or with your skincare products. I was a little skeptical at first about using it with my serums and moisturizers. I thought it might be a waste of product. Then I watched my acne heal faster, my scars lighten, my products absorb more deeply, and my skin look supple and plump like a little Botticelli angel. We also tend to hold a lot of tension in our faces. Jade rolling helps release muscle tightness. My face feels so relaxed after a good rolling session. You finally notice how many muscles your face has after rolling out the expressions you’ve been holding all day! Jade rollers can range in price from $5 to upwards of $200 depending on the quality of production. 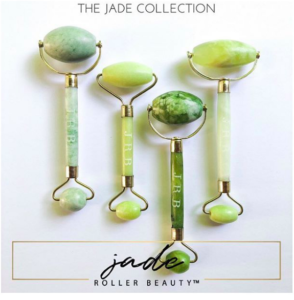 You can absolutely find a good jade roller in the $29-$50 range whether online or at a local beauty store. Jade rolling is definitely within your reach.